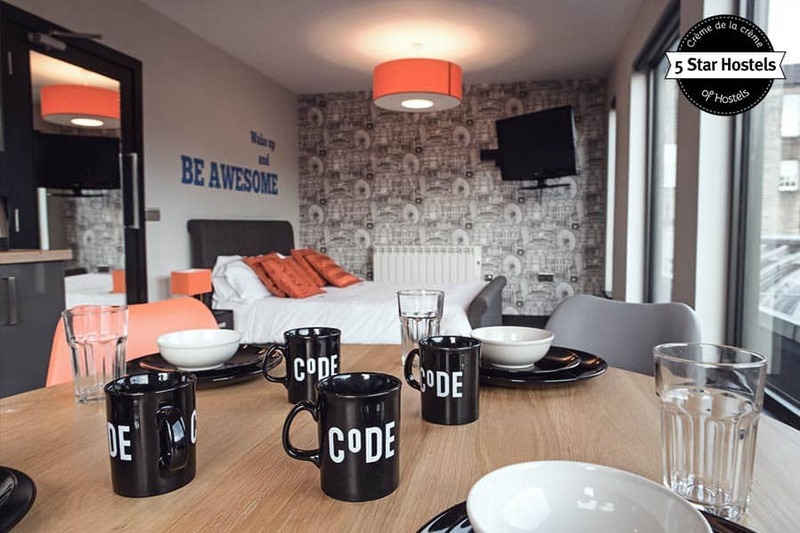 The CoDE Pod Hostels - THE LoFT is a modern design hostel in the New Town of Edinburgh. 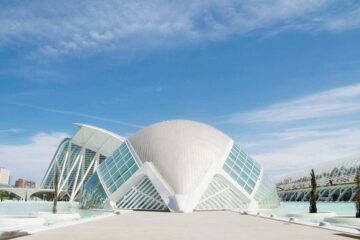 It is modern in the sense of design and technology as well. A fresh young design hostel meets tech-nerds, combining it to a geeky 5 Star Hostel in Edinburgh! 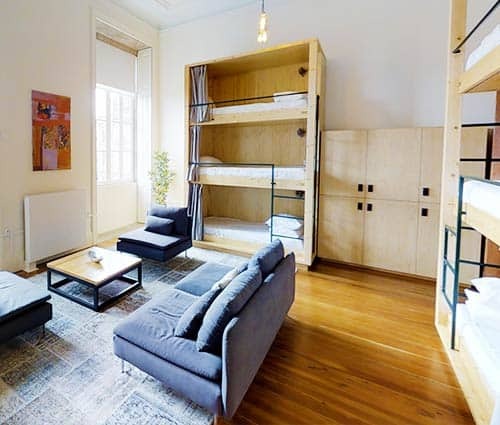 How to book CoDE Pod Hostels - THE LoFT? Congrats, you just found the coolest hostel in Edinburgh, Scotland. Now, what about your booking? Check out the official website of CoDE Pod Hostels - THE LoFT. Why? There you can get the lowest prices! The CoDE Pod Hostels - THE LoFT is located in New Town and within a short 5-10 minutes walk you can get to Edinburgh Waverly Railway Station. Edinburgh Castle and the Old Town of Edinburgh can be reached by foot in around 15 minutes. When you are coming straight from the airport to THE LoFT, you can just get on the Air Link Bus #100. Get off at the stop "George street". From here you can walk to the accommodation in less than 4 minutes. In case you arrive by train to the Haymarket Train Station you can take the tram or bus #25 or #31. 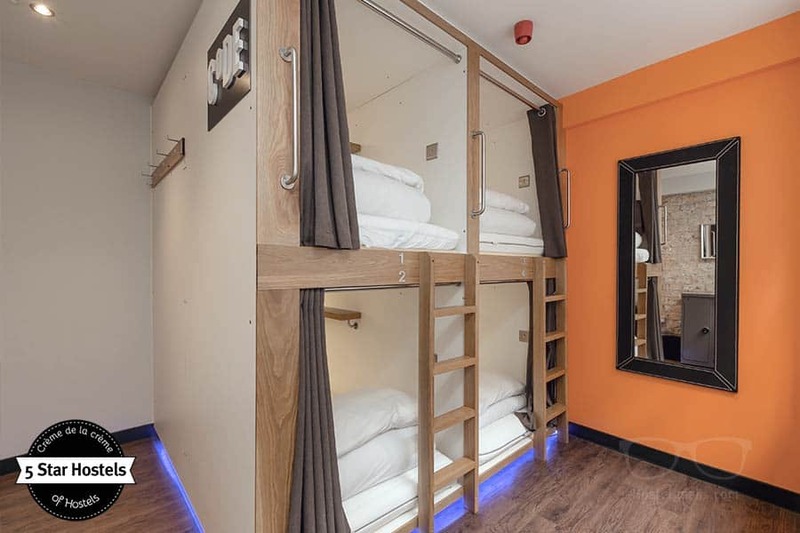 There are no bunk beds at CoDE Pod Hostels – THE LoFT but fancy, modern pods which give you the privacy you’ve been waiting for when staying at a hostel. Each pod has its own socket-outlet and lighting, so you can simply close your curtains to get your rest. Those pods have the same idea behind as those popular capsule beds around Asia. We have handwritten a detailed guide on the best hostels in Edinburgh. Comparing CoDE Pod Hostels – THE LoFT with all the other places. Great design, comfy and filled with the basic facilities every traveler wants! And for tech-lover, the CoDE Pod Hostels – THE LoFT has its own security system. You’ll receive your unique code to enter the hostel and the rooms, so there is no hassle with keys. Is this the reason for its name?! As you can see, every 5 Star Hostel has its own focus. In order to make things easier, we will call CoDE Pod Hostels – THE LoFT simply “THE LoFT” for short. 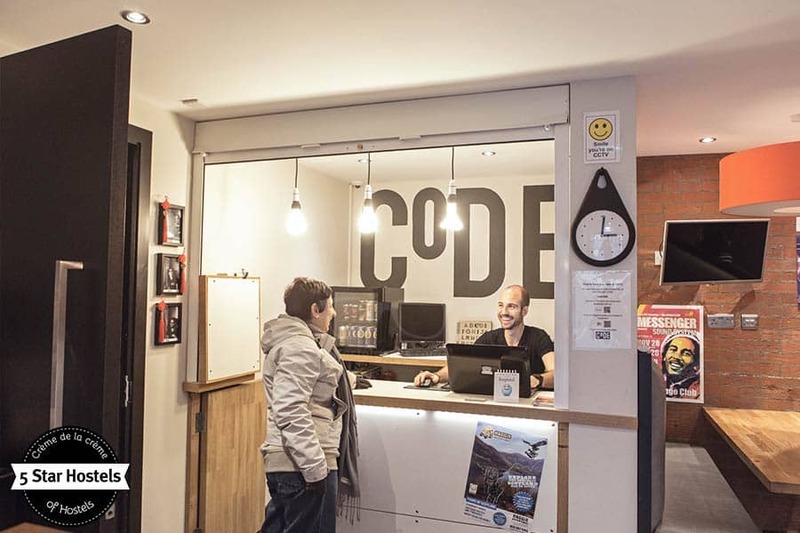 Update: There is now two CODE Hostels in Edinburgh. CoDE Pod Hostels – THE LoFT is this place the review is about. CoDE Pod Hostels – THE CoURT is the second hostel. THE CoURT opened July 2019. Traveling to London? 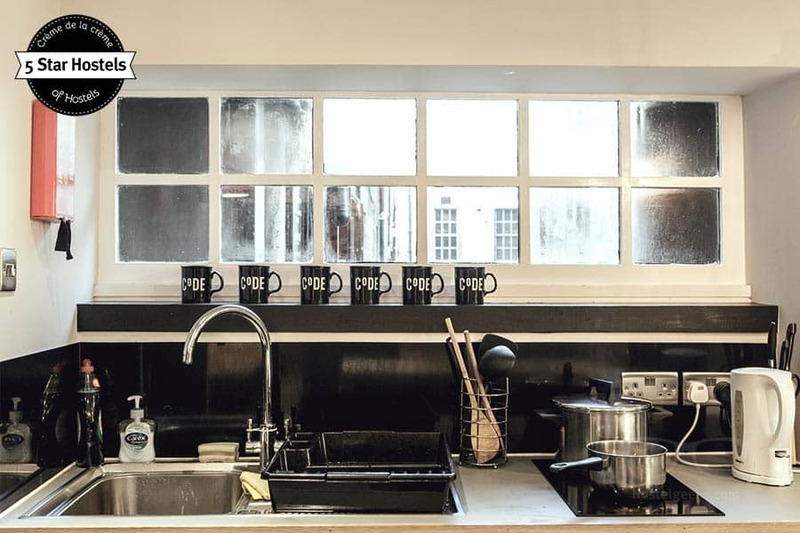 Read our guide best hostels in London. 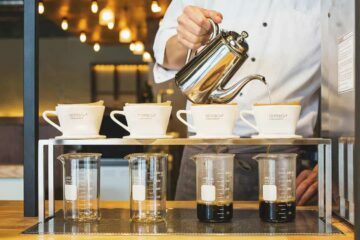 The two 5 Star Hostels Palmers Lode Swiss Cottage and Palmers Lodge Hillspring in London are boutique hostels while THE LoFT tends to be a high-tech hostel. We also wrote a guide to best hostels in Manchester, UK. Heading to Dublin? 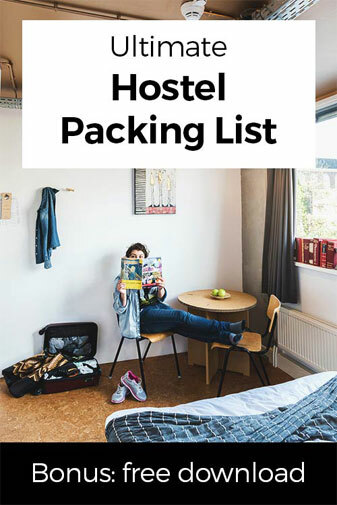 Then read through the best hostels in Dublin Guide. Is this the best hostel in Edinburgh? We think so! Check our full guide to the best hostels in Edinburgh. You will find the hostel comparison, and hostels for all types of travelers. Let’s get one of these CoDE mugs, fill it up with coffee, and walk together around THE LoFT Edinburgh. We will introduce you the the place and will let you know why this hostel is a top choice and the only 5 Star Hostel in Edinburgh. The accommodation is a locally managed family business, working with a number of local tour providers who offer tours of Edinburgh and the rest of Scotland. The hostel runs on energy-saving lights with motion sensors. This way the place can save up to 60% of its energy use – simple and efficient! Furthermore it operates a comprehensive recycling policy. The design of the 5 Star Hostel in Edinburgh is unique, and there are no bunk beds at this hostel. 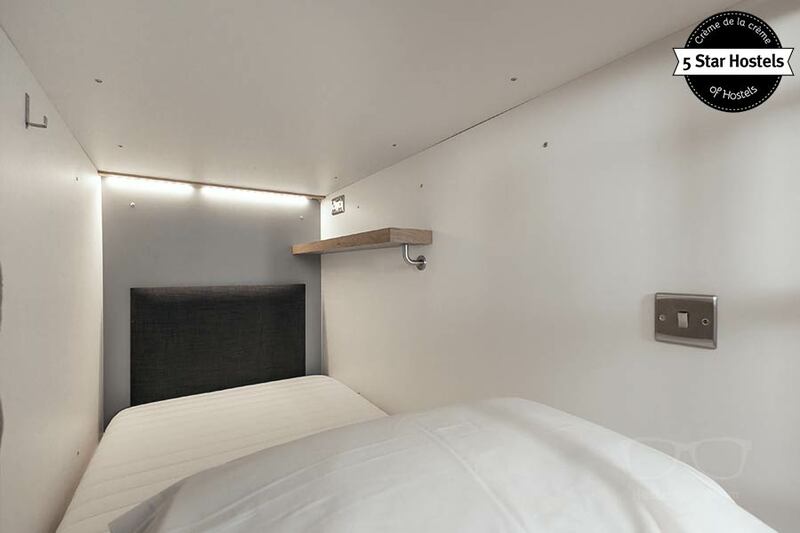 They found a new, modern way to accommodate travelers in a stylish dorm: pods! Staran Architects, a local architecture practice, are the designers behind the scenes. The design features a contemporary, ‘industrial chic‘ look. The architects and the hostel team have converted and extended a unique red brick period building to create the hostel. Previously the building was unoccupied and abandoned. The team takes pride in having been able to bring it back to use. Also, have a look around. They even have now a suite available, pure luxury! 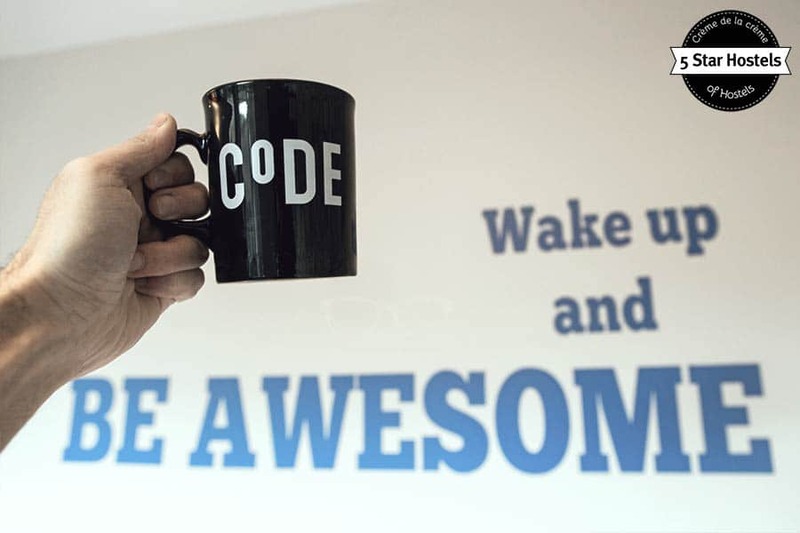 And remember: “Wake up and be awesome”! This photos shows you the Pod bed from inside. There are several unique points we love about THE LoFT. Every guest that booked the hostel gets a code to enter the hostel, so there is no hassle with keys. You will even receive your own code before you arrive via email if you fully paid your stay. This way you can check-in whenever you want, and don’t have to worry. 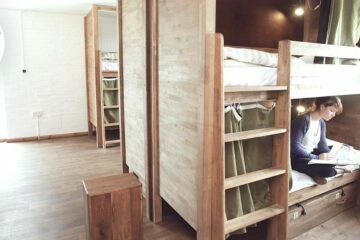 The bunk beds pods are a brilliant idea to put some privacy into the dorms. You have your own lighting in case you want to read your book, or write while the rest of the room can sleep quietly in the dark. As for private accommodation, THE LoFT has its own apartment suite. Actually, now it is a double room. For sure, this is the best hostel in Edinburgh with a double room. And the design lovers will also appreciate this hostel stay. 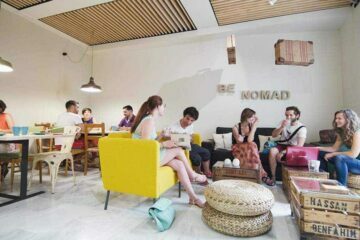 The contemporary minimal design with its bright colors, clear forms, and smart functional design elements is a great inspiration for every hostel. The vibe is friendly and relaxed. The common area downstairs is designed for guests to socialize with each other and the mixed dorm rooms are also conducive to guest interaction. During the summer months, the accommodation intends to run a lot more social events around the hostel. Keep an eye on their facebook page to stay up to date for the hostel events! The staff is very friendly and knowledgeable, and provides guests with all sorts of tips on where to eat, drink and have fun in Edinburgh. Also the team guides their guests on the best things to see and do in Edinburgh. Staff interaction with guests is a very important part of their service at THE LoFT. And if you are looking for any local secret tips for Edinburgh before arriving, check out the free travel guide including our fun things to do in Edinburgh. Fancy a promo code for CoDE Pod Hostels - THE LoFT? Who doesn't?! Now, there is no easy way to say this: Currently we do not have a valid discount for CoDE Pod Hostels - THE LoFT. 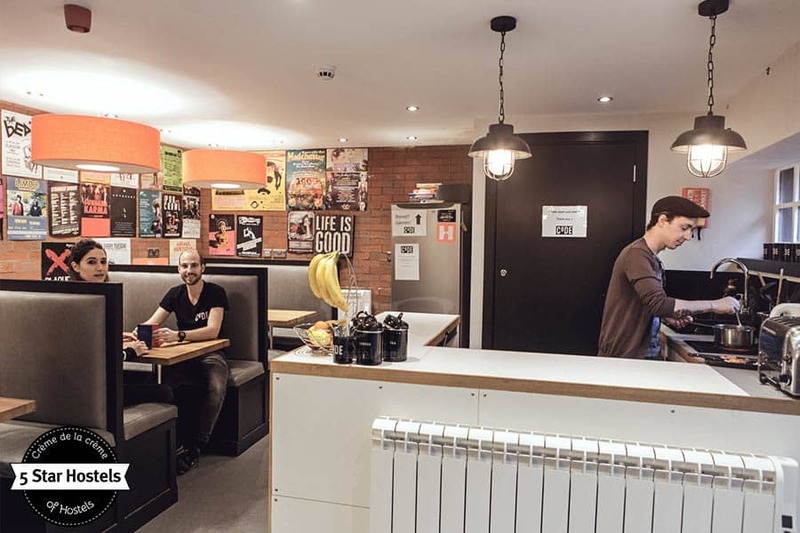 We are working on getting more promotional codes for CoDE Pod Hostels - THE LoFT in Edinburgh, Scotland and all the other top hostels we reviewed for you. Check out the official website of CoDE Pod Hostels - THE LoFT. 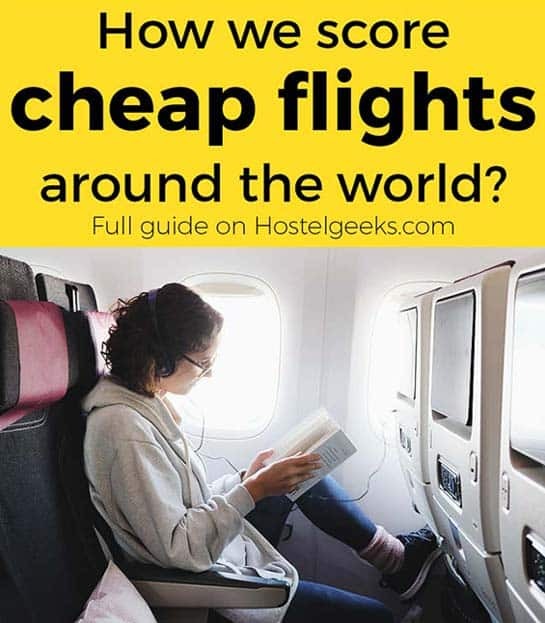 Update April, 2019: How to find flight deals to Edinburgh, Scotland? 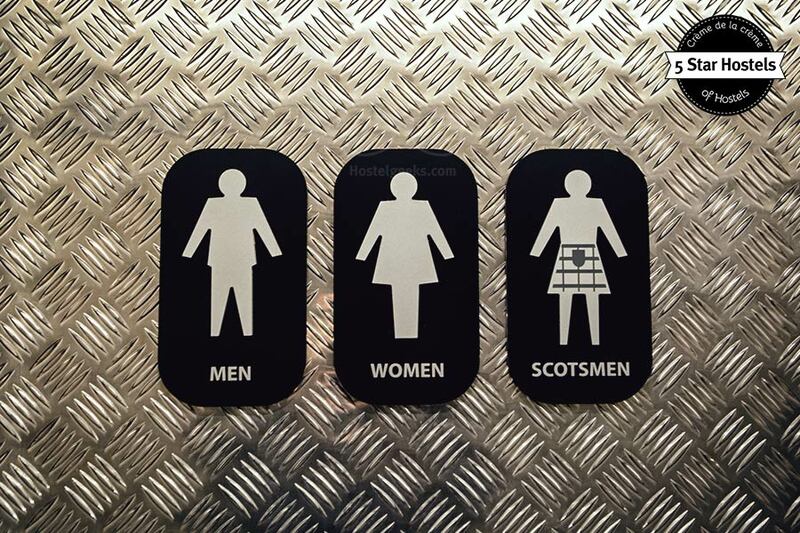 Still looking for cheap flights to Edinburgh, Scotland? We LOVE Kiwi.com. You can search here with a so-called "radius search". It is incredible easy to find sweet flight deals to Edinburgh, Scotland and area. 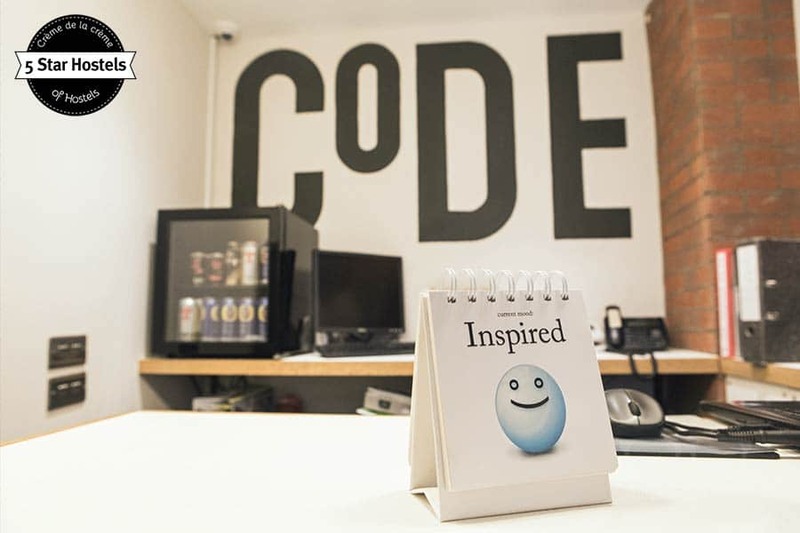 I stayed at CODE back in the spring and can highly recommend it! The staff were incredibly nice and always helpful. The rooms were bright and clean, and the pod style beds were AMAZING. It was so nice to have my own private space in a hostel. It’s very central, but hidden on a little side alley so not too loud. You’re very close to the castle and surrounding parks. All around great hostel!